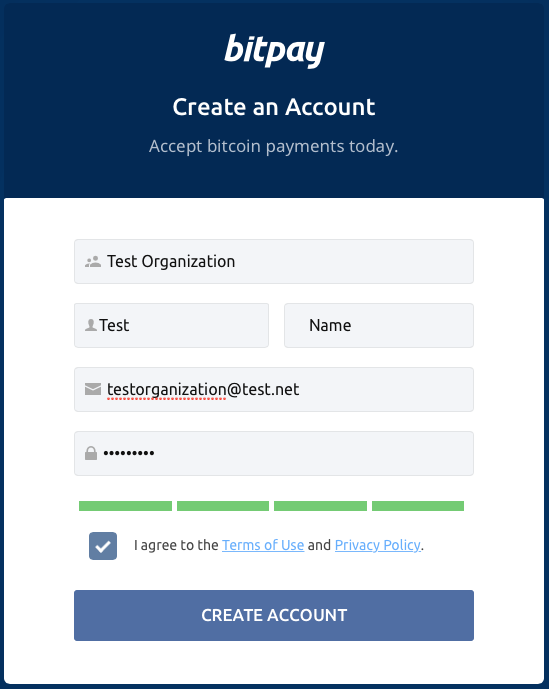 Submit an application to https://bitpay.com/dashboard/signup and verify your application via e-Mail, and you will be able to immediately log in to your merchant account. Below are all the pages that you will be filling out information on. You will be taken to the next page, which will provide you with the necessary steps to proceeding setting up your merchant account. 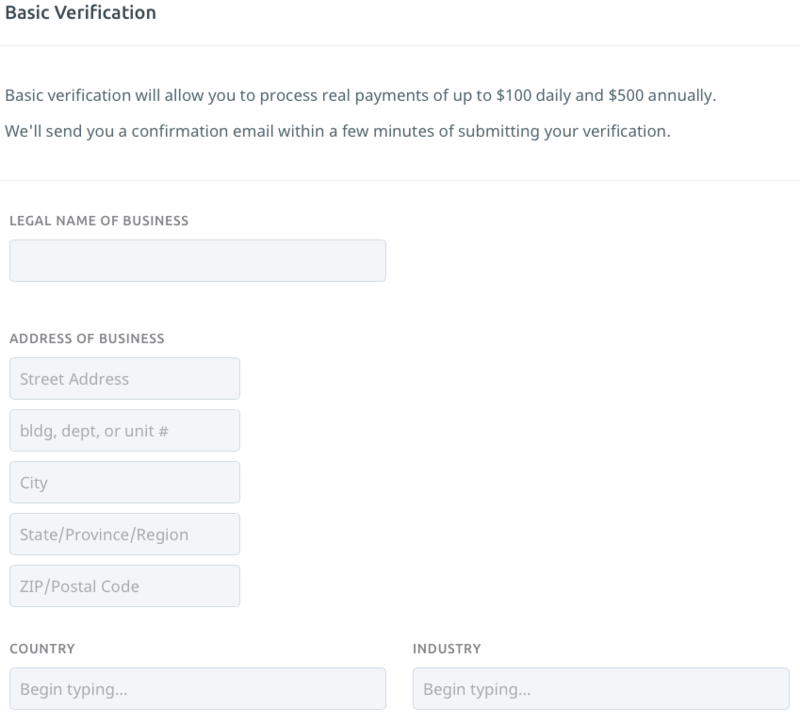 Next, you will want to provide us with the First Name, the Last Name, business address, and the Phone Number for the person managing this merchant account (note: this contact information is not displayed on invoices). 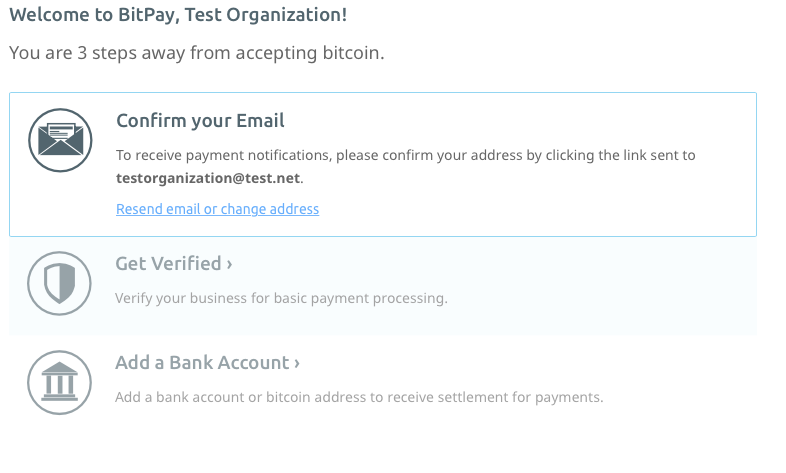 The last step in Getting Started with the setup of your merchant account is to enter some settlement preferences. 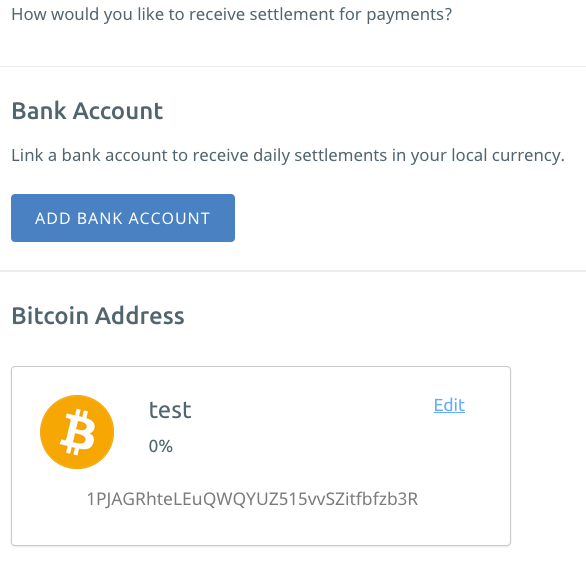 You can choose to receive your settlement in 100% fiat, 100% bitcoin, or a combination of one fiat currency and bitcoin. 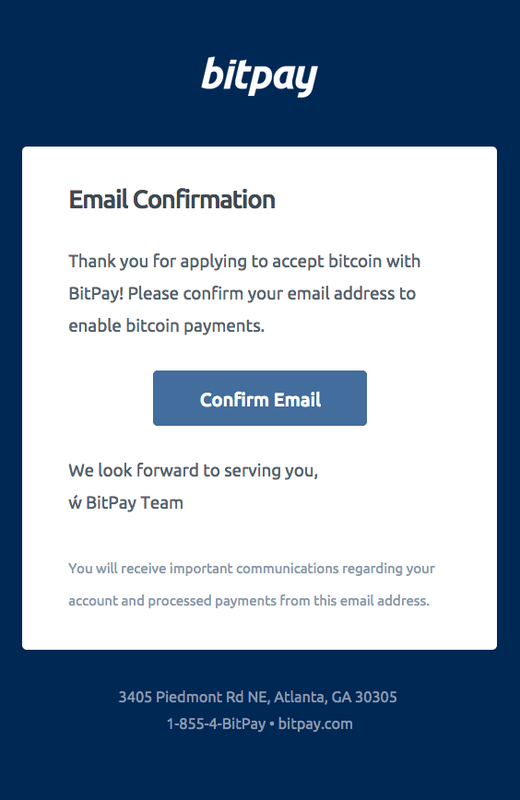 When you've finished with Getting Started with your Bitpay merchant account you should receive an e-Mail letting you know your merchant account is approved for Tier 0. If you do not get this e-Mail within 24 hours (and you've checked your spam and junk folders), please submit a request.